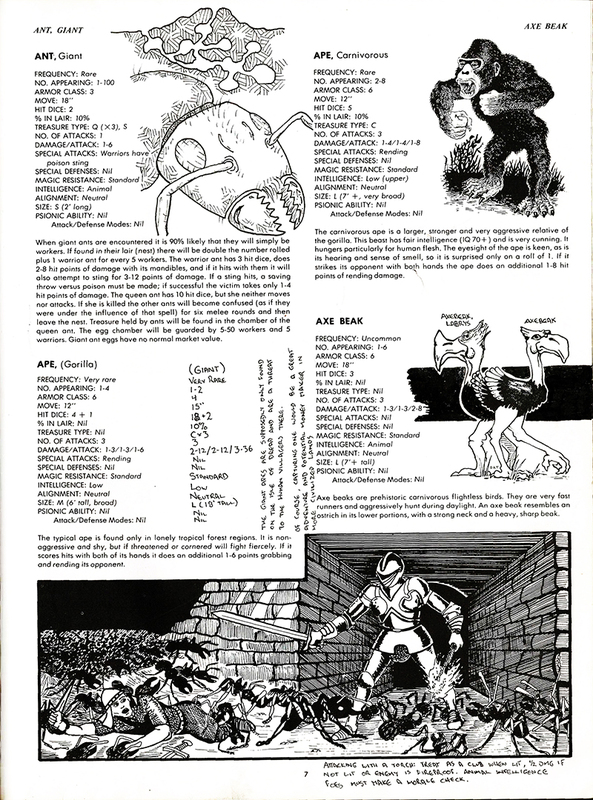 My Monster Manual – Ants, Apes & Axe Beaks! Another page from my Monster Manual project – we are on page 7, home of the Giant Ant, the Ape (Gorilla) (and now the Giant Ape), the Ape (Carnivorous), and the mighty Axe Beak. Honestly, pretty much all of these guys just don’t see enough game time in my experience.